1) Promote hand hygiene: Frequent hand washing is the single most effective way to reduce the spread of illness. Post proper hand washing protocol in public facilities and ensure employees wash their hands frequently with anti-microbial hand soap and water. In areas without sinks, offer hand washing and sanitizing wipes to ensure proper hand hygiene. 2) Disinfect high-touch surfaces frequently: High-touch areas should be cleaned more frequently than other areas within a facility. Use a multi-purpose disinfectant with a fast dwell time. When selecting a disinfectant, it is important to consider contact time and cleaning ability. Common high-touch surfaces to consider include door handles, railings, light switches, desks, keyboards, telephones, chairs, desks and tables. 3) Encourage the use of pre-moistened wipes: Providing cleaning staff with pre-moistened wipes simplifies the cleaning process and ensures cleaners follow correct chemical dilution ratios. Pre-moistened wipes also eliminate exposure to chemical concentrates and reduce the chance of cross-contamination. 4) Review best practices for disinfection with staff: Instruct cleaning staff in appropriate procedures for disinfection as well as protecting themselves from picking up viruses during their work. 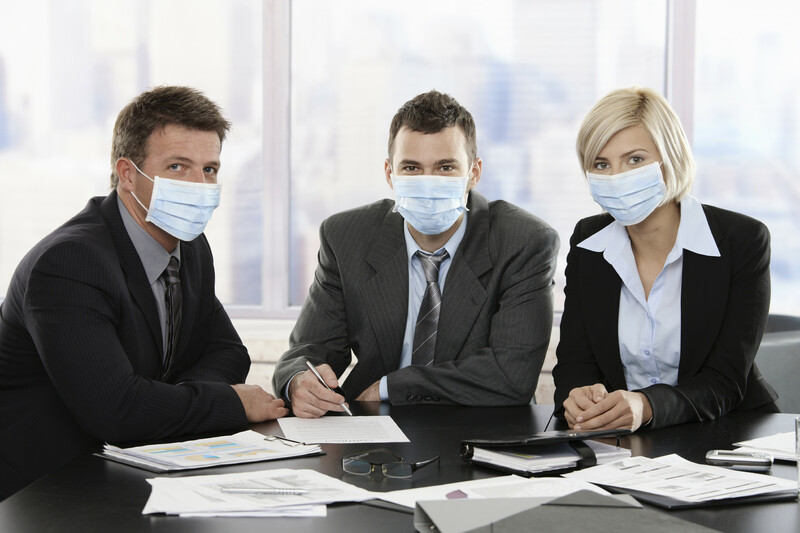 In addition to making sure staff understand the proper procedures for disinfecting, it is equally important that cleaners understand the significant role they play in combating disease. Click here to read the release in its entirety.